How do we “know” what we “know”? After delivering a “Crash Course on Critical Thinking” to Gulf Coast State College, Dr. Peter Boghossian will visit our Unitarian Universalist Fellowship to present a lecture on Secularism. He is a national speaker for the Center for Inquiry, and we are very lucky indeed to have him here at our Fellowship. Do not miss this opportunity! 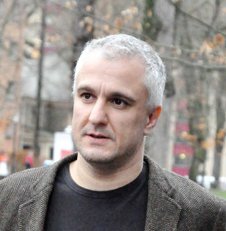 Dr. Peter Boghossian’s main focus is bringing the tools of professional philosophers to people in a wide variety of contexts. Peter has a teaching pedigree spanning more than 20 years and 30 thousand students – in prisons, hospitals, public and private schools, seminaries, colleges and universities, Fortune 100 companies, and small businesses. His fundamental objective is to teach people how to think through what often seem to be intractable problems. Peter’s primary research areas are critical thinking and moral reasoning. His doctoral research studies, funded by the State of Oregon and supported by the Oregon Department of Corrections, consisted of using the Socratic method to help prison inmates to increase their critical thinking and moral reasoning abilities and to increase their desistance to criminal behavior. Peter’s publications can be found in Diálogos, The Philosopher’s Magazine, Skeptical Inquirer, Education Policy Analysis Archived, The Clearing House: Educational Research Controversy and Practices, The Radical Academy, Offender Programs Support, Teaching Philosophy, Corrections Today, Informal Logic, The Skeptic, Journal of Philosophy of Education, Educational Philosophy and Theory, Inside Higher Ed, Essays in Philosophy, Federal Probation Journal, and the Journal of Correctional Education. Peter was a Councilman for the State of Oregon (LSTA), the Chairman of the Prison Advisory Committee for Columbia River Correctional Institution, an advisor to Sockeye Magazine and The Weekly Alibi, wrote national philosophy curricula for the University of Phoenix, and was a research fellow for the National Center for Teaching and Learning. He teaches Critical Thinking, Science and Pseudoscience, the Philosophy of Education, and Atheism and New Atheism at Portland State University, is an Affiliate Reseearch Assistant Professor at Oregon Health Sciences University in the Department of General Internal Medicine, is a national speaker for the Center for Inquiry, a national speaker for the Secular Student Alliance, and an international speaker for the Richard Dawkins Foundation for Reason and Science. When he’s not working, Peter spends time with his family, practices jiu jutsu, and watches science fiction movies and television. Please review our current calendar of events for availability.